This Random Mine is another fairly small one, and there seems to be some confusion about it.The Calstock parish archive thinks it was primarily a copper mine, although it did also produce a small amount of tin. It was originally known as East Calstock when it first opened in the 1820's, then later it was renamed Calstock Consols, before closing in 1879. 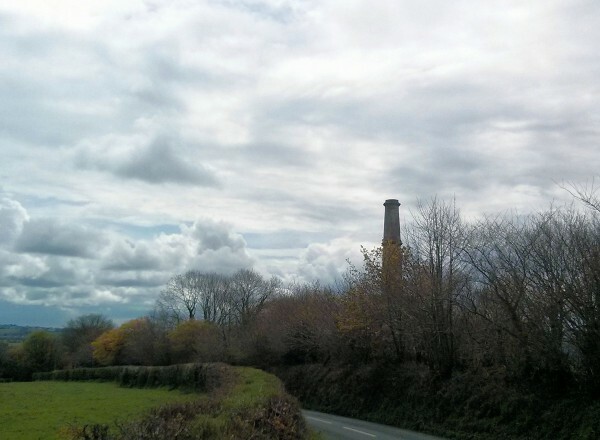 The Cornwall & Scilly Heritage Environment Record, however, thinks that it produced arsenic and arsenical pyrites between 1878-1879, and that in 1942 an enterprise named East Calstock was set up here to mine wolfram, but after an initial pit was dug 'Owing to the wartime shortage of labour, nothing further was done'. I think it may have mislaid a paragraph about the earlier period, because even by Cornish standards, 1878-1879 would be a really short lifespan for a mine. In 1865, this mine was recorded as employing 32 people - 27 men, 3 females and 2 boys. The 'females' would probably have been 'bal maidens' - working above ground, on manual ore processing jobs. I think this bal maiden might be one of them, she lived very close by in 1861, and was employed as a copper dresser. She was 11. Apparently bal maidens often started work around that age. They usually left their jobs once they married, although they might go back to work if widowed.